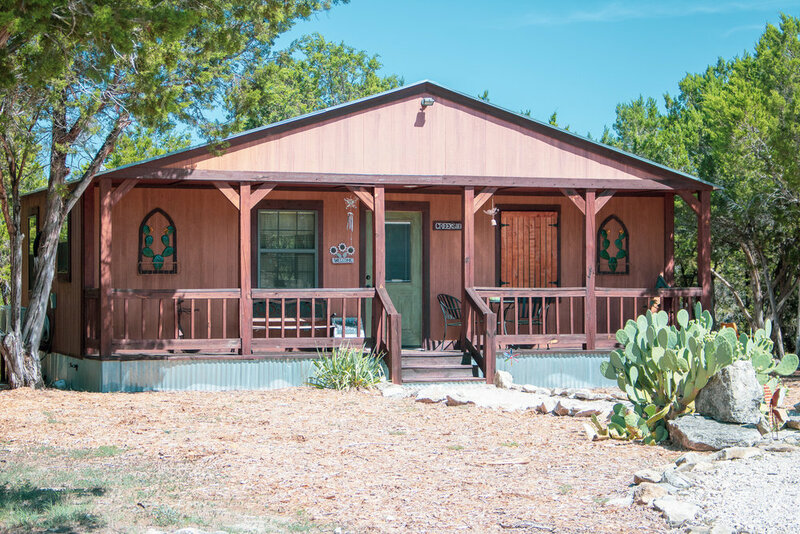 Our roomy 600 square foot Creekside Cabin features a large deck that overlooks Anderson Creek. Guests can sleep comfortably in a queen bed featuring 600 thread count sheets, or in the fold-out sleeper sofa in the living room. If you have the need for more sleeping arrangements, we encourage you to bring your own blow-up mattress or sleeping bags. 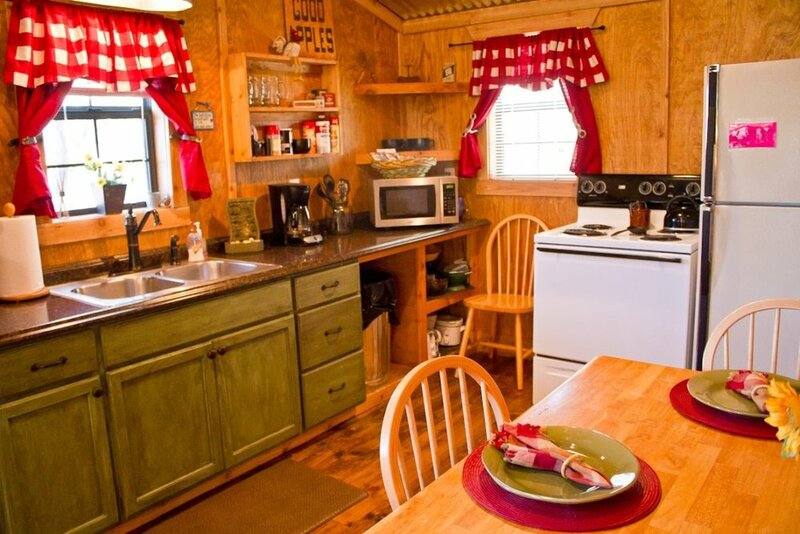 While Glen Rose offers many fabulous restaurants, feel free to cook for yourself in Creekside Cabin kitchen. 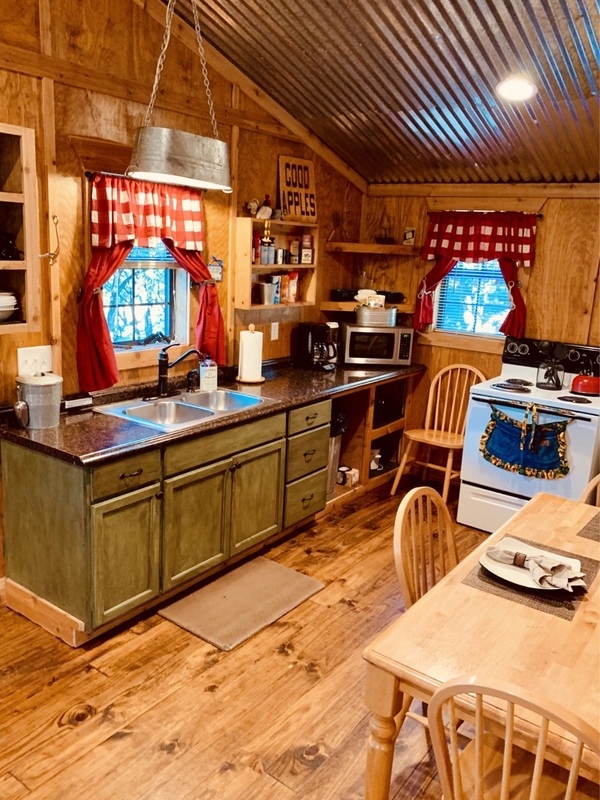 The kitchen is fully-stocked with plates, bowls, cups, silverware, pots, pans and cooking utensils. We also provide coffee, herbal teas, a few packaged breakfast items and condiments. 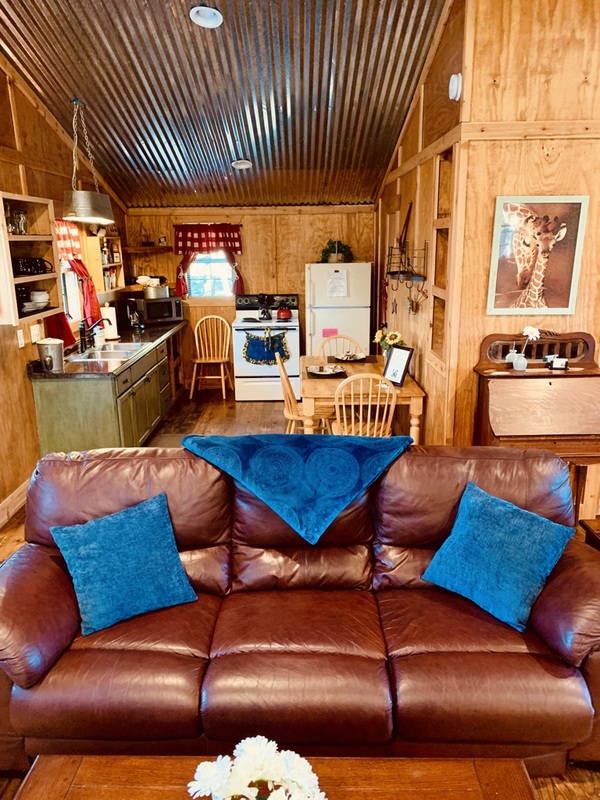 Creekside Cabin features a queen size bed, sure to give you a good nights sleep after spending your days hiking and exploring around Anderson Creek.